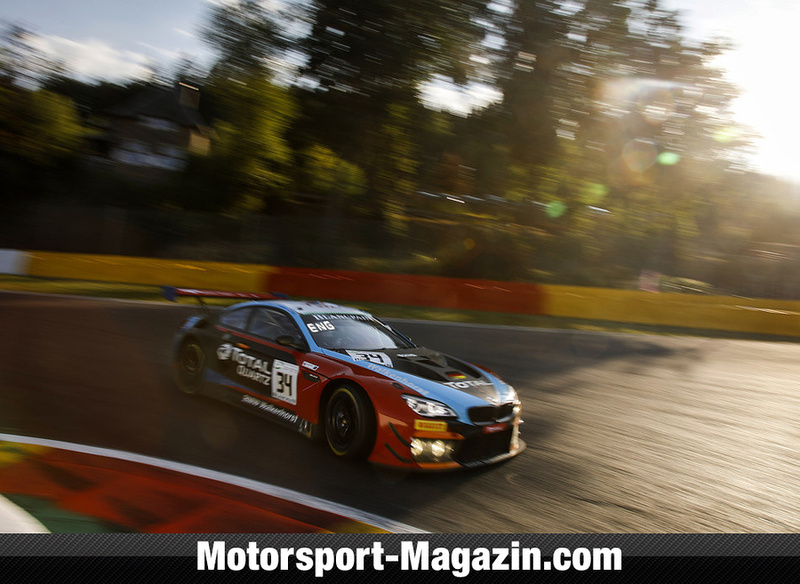 Last weekend, Walkenhorst Motorsport celebrated a terrific victory in Spa's 24-hour race. Drivers Tom Blomqvist, Christian Krognes and Philipp Eng driving a BMW M6 GT3 prevailed against the strong competition during the 24-hour Ardennes classic. With the 2nd place, achieved by Rowe Racings # 99, a second Öhlins equiped BMW M6 GT3 made it to the podium which was completed by Markus Winkelhock, Frederick Vervisch and Christopher Haase with Audi R8 LMS GT3 from Audi Sport Team Sainteloc securing 3rd place. Not only BMW and Audi are using Öhlins suspension. Other brands such as Bentley, Lamborghini, Nissan and Lexus trust in the experience of the Swedish suspension experts. All-in-all, more than 40% of the competitors had been racing with the "Swedish Gold". Congratulations to the winners and thanks to all finishers for their magnificent performance in this challenging race in the Ardennes.